NATIONAL HARBOR, Md. — NASA hopes to have a major astronomy mission back on track by April after completing efforts to reduce its cost, an agency official said Jan. 8. Speaking at a meeting of astronomers prior to the start of the 231st Meeting of the American Astronomical Society here, Paul Hertz, director of NASA’s astrophysics division, said the agency plans to hold a key review for the Wide-Field Infrared Survey Telescope (WFIRST), known as Key Decision Point B, by April. WFIRST was the subject of an independent analysis that concluded in October that its cost was at least $3.6 billion. NASA, in response to that report, called on the project to “descope” the mission to bring its cost down to a prior of estimate of $3.2 billion. Hertz said that, under the project’s current schedule, there will be a system requirements review and mission design review in February, followed by an independent cost assessment. That will be followed by the Key Decision Point B review in March or April, which would allow the project to proceed into Phase B of its development. The biggest changes to WFIRST to lower its cost involve one of its instruments, a coronagraph. That instrument is designed to precisely block light from individual stars, allowing observations of planets or dust disks orbiting them. That instrument, he said, will now be considered a technology demonstration, and its cost will be shared with the agency’s Space Technology Mission Directorate. “Their contribution, and international contributions, do not count against the $3.2 billion,” he said. 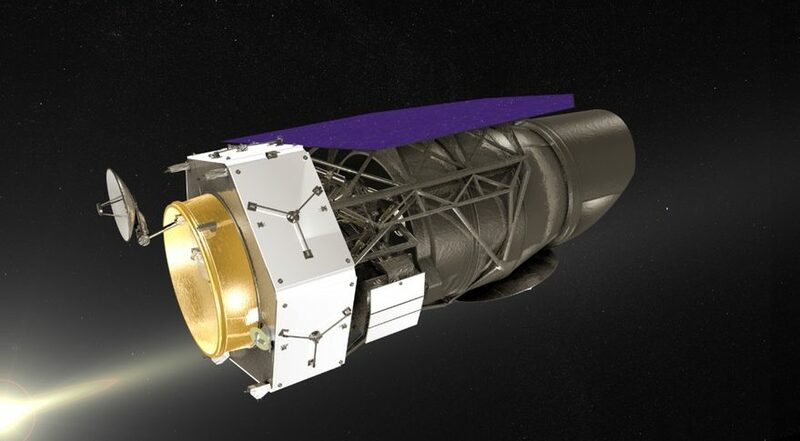 The mission is also planning reductions for WFIRST’s other main instrument, a wide-field instrument. Hertz said the instrument will have fewer operating modes and relaxed detector requirements, and some capabilities will be provided by unannounced international partners. Another change has been revisions to the overall project schedule, which allows for a launch about six months sooner than previously planned, saving money. However, he said the project will spend more money on “mission assurance” activities in response to a finding by last fall’s independent review that argued the mission was taking on a higher risk profile than warranted for one of this size. Hertz said later that NASA is in discussions with five potential international partners for roles on WFIRST. “Each of those partners is going through their own internal processes, so we’re not announcing what we’re assuming they will contribute until they’re ready to say publicly that they have approval,” he said.